Here is a photo we found the portfolio of Calgary decorator Monica Hui of Wishahmon Inc. Interesting and unconventional idea. 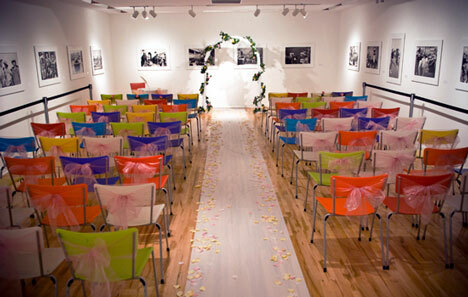 Have your wedding ceremony in an art gallery. Modern, clean, sophisticated.. styling! We like it! Bet you it's probably cheaper too..